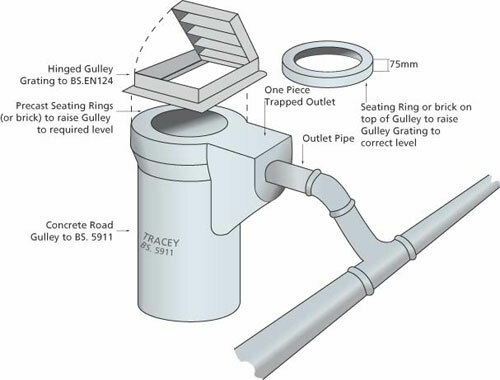 Round Road Gullies have an advantage over square or rectangular gullies because the outlet pipe can be pointed in the desired direction, yet allowing the grating to fit parallel to the kerb which can eliminate outlet pipe fittings. See Fig 3. 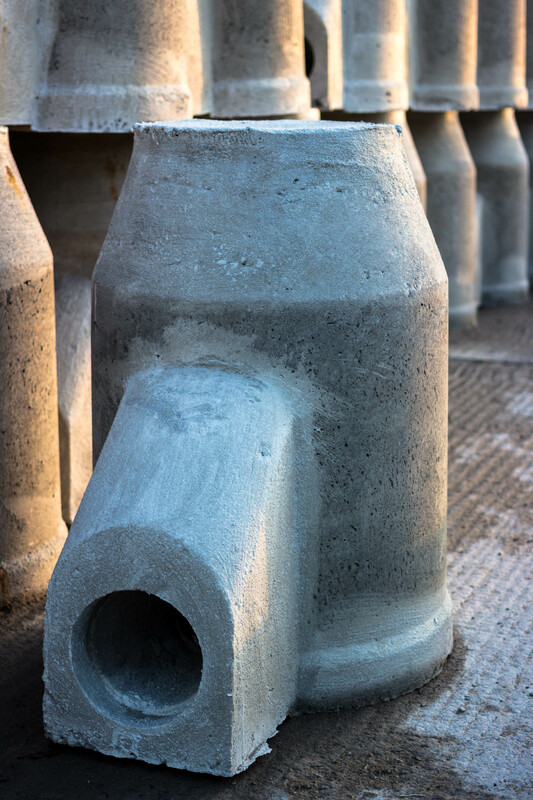 Because of the trapped outlet, these gullies are used to prevent odours escaping from the drain pipe, which may be the case if the gully is connected to a combined storm and foul water system. 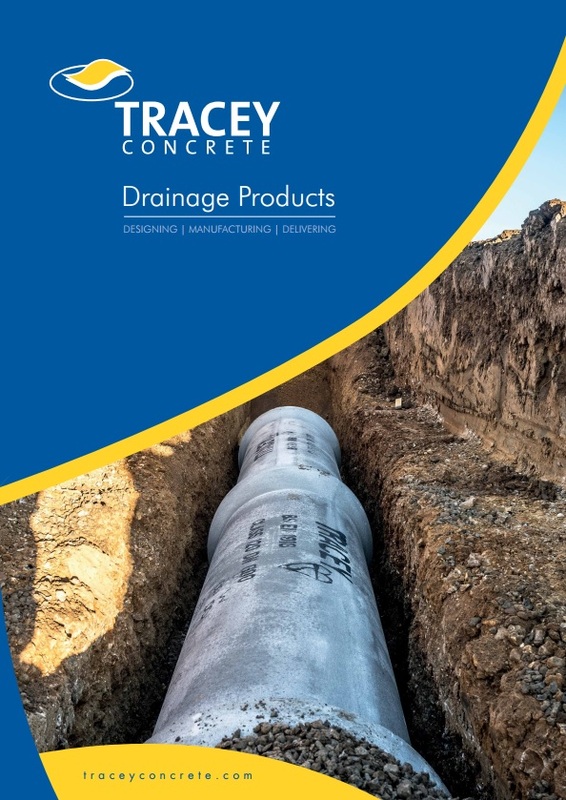 They may also be used where there is a risk of oil, which will float on top of water in the gully, preventing it from entering the drain pipe. This gully has a straight outlet and is lighter than the trapped gully. It is used where the risks do not occur. Grade A Class 1 :Designed for 11.5 Ton loads with non rocking feature, for use in carriage ways. 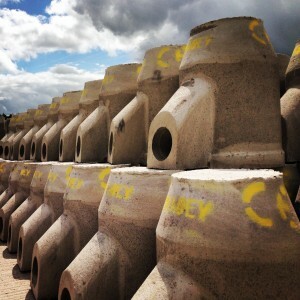 Grade A Class 2 :Designed for 11.5 Ton loads with hinged grating for use in carriage ways. Grade B: Designed for 5 Ton loads, with hinged grating, for use with slow moving commercial vehicles.